Are you looking for a certified technician to check if your wiring and electrical products are safe? Rely on the experience and expertise of our team of electricians at Harts Hill Electrical Contractors. 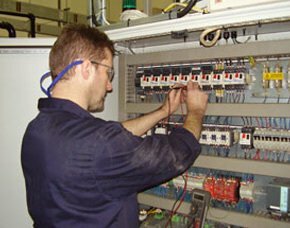 All of our industrial electricians are NICEIC approved and qualified with a City & Guilds 2391 qualification in Inspection and Testing. 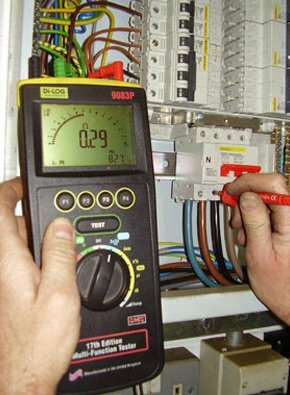 We can carry out inspections on your premises to ensure your electrical equipment is fully functional and compliant with the current IEE regulations and safety requirements in accordance with the Electricity at Work Regulations 1989. It is important to get all the electrical devices and products in your commercial premises thoroughly and regularly inspected and tested. If your electrical items and industrial equipment are due their inspection and testing; our team will ensure that all your equipment is of the high safety standard you require to continue operating safely. If a product is found faulty, we can also provide a repair and maintenance service. For more information or to discuss your company’s requirements, feel free to contact us.